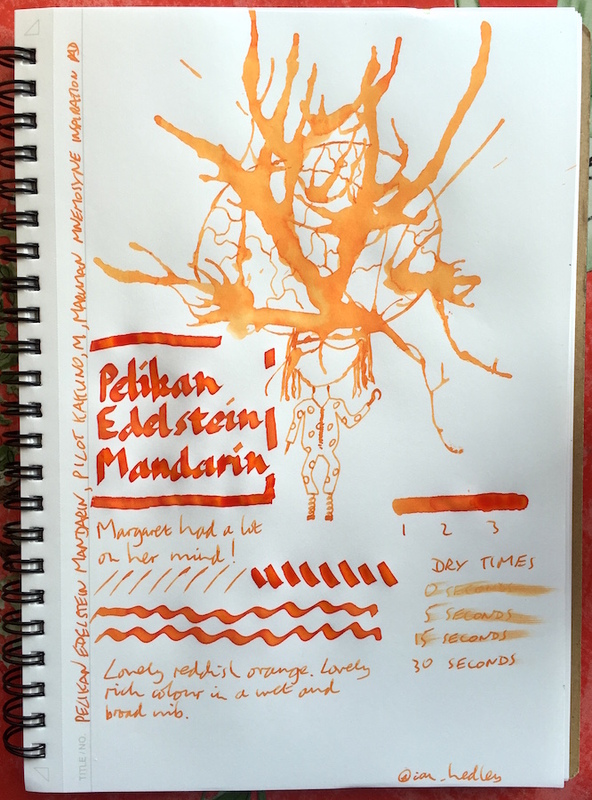 Pelikan Edelstein Mandarin Ink Review – Pens! Paper! Pencils! This is a well-named ink, being very reminiscent of an actual mandarin. It’s quite a dry flowing ink that is also quick to dry. I found it a little flat in anything but the wettest nibs but with the right pen it’s gorgeous. Looks nice. 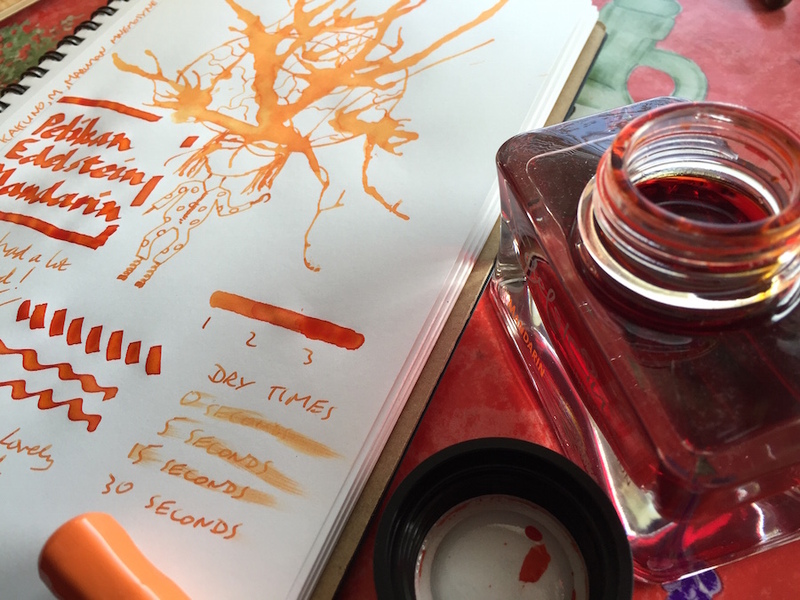 I’ve found orange is difficult to photograph though: anyway, here it looks similar to Orange Indien from your fine nib or the darker CopperOrange when pooled.